Great News for Writers of Canadian Horror! Turns out, the potential readership is more gullible than ever - particularly in my home province of Ontario. According to this piece in Toronto's Globe and Mail newspaper, only 51 per cent of Ontario residents believe that the Earth is millions of years old, and human beings evolved from less complicated forms of life. In Canada, 59 per cent believe in evolution. Otherwise, it's an unequal mix of uncertainty, and the belief that the world's just 10,000 years old, the Grand Canyon is nothing but a trick of Satan, dinosaurs walked the Earth with early humans, and a jealous, all-powerful deity is behind the whole thing. is simply not an issue. Why, they're as easy to frighten as a three-year-old without a night-light. ... it looks as though there'll be more soon. But not here. Just got word from Gord Zajac, fiction editor at ChiZine, that my story "The Mayor Will Make A Brief Statement And Then Take Questions" is a go for their next issue. The story itself is only slightly longer than the title, and I wrote it for this Toronto thing called SF Idol, which is exactly what it sounds like (I actually wound up winning said thing, but not with this story), so it won't take more than a few minutes of your time and might just scare your knees backwards. When the time comes, I'll link to The Mayor..., because ChiZine has dispensed with the formalities of paper and printing and distribution in favour of web publishing and paying its writers well. In the meantime, check out the publication sans Mayor..., here. Claus-ing Our Way Up The Amazon charts! Yes - this is how I thank Devil's Exercise Yard readers, for hauling The Claus Effect up from its 2.8 millionth sales ranking oblivion to an unheard-of middle ranking of #333,677 in Books: with a cheesy subject-line pun. So let's start again: thank you, Devil's Exercise Yard readers, for helping Karl Schroeder's and my 10-year-old Santa Claus novel claw its way up to respectability on the Amazon.com sales ranking charts. 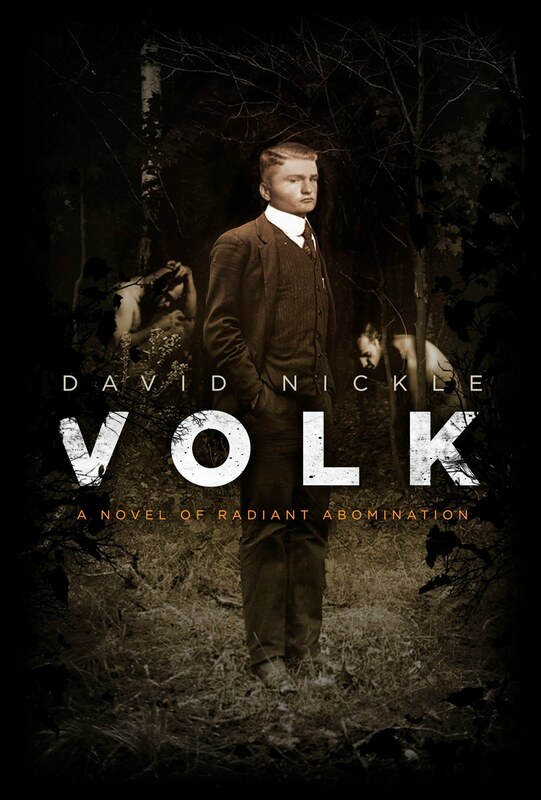 I am assuming it's you, because the book has been languishing in seven-figure hell since the day Amazon came up with the ranking system, and it's only been a couple few weeks since I began insisting that Yard-readers do something about that. 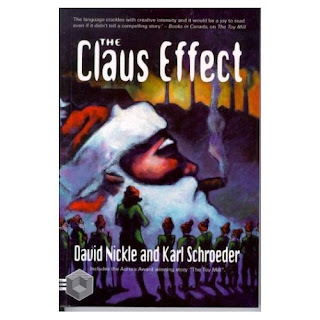 So if you're one of the readers that have bought a Claus Effect on Amazon.com after having read this exerpt (possibly, given the uncertainty of how exactly Amazon ratings work, the single reader who did so) pat yourself on the back. If you're not - well, go here, buy the book, then pat yourself on the back. And accept our thanks. Karl and I are grateful bastards indeed.